[6 mins.] The first segment of this episode focuses on "Wilson", a new indie comedy adapted from the graphic novel of the same name. 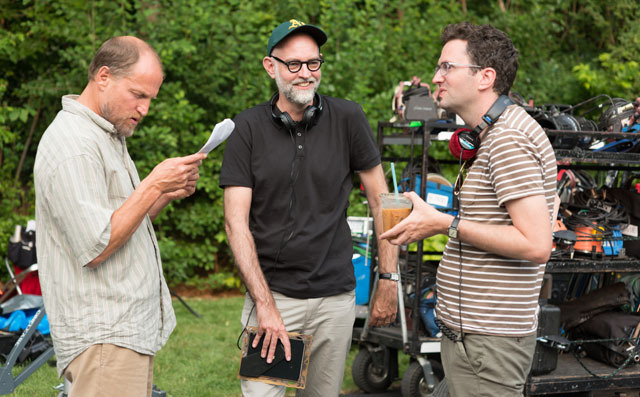 Both director Craig Johnson ("The Skeleton Twins") and the graphic novelist & film's screenwriter Daniel Clowes appear on the podcast. Included on this episode are also some clips from the film's press junket with both Woody Harrelson and Laura Dern. Wilson is being distributed by Fox Searchlight and premieres theatrically on Friday, March 24th nationwide. The film also stars Judy Greer, Isabella Amara & Margo Martindale in supporting roles. [32 min. 45 secs.] Then in the second segment, we're joined by the author Todd Berliner whose book, "Hollywood Aesthetic: Please in American Cinema", published by Oxford University Press. Music on this episode is by the inventor of rock 'n' roll music, the recently deceased Chuck Berry; with additional music by Jon Brion.